Who Is Using Our Service? The most fun you can have disposing of lamps! EasyPak™ recycling containers are the safe and easy way to recycle your facilities’ fluorescent bulbs, batteries, ballasts, and electronics. One price includes everything you need, the UN Certified recycling container, shipping to the recycling center, recycling fees, and certificates of recycling. 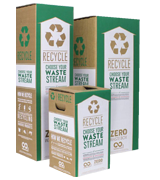 Zero Waste Boxes allow us to create recycling solutions for nearly every type of waste imaginable. These boxes may be purchased in various sizes. 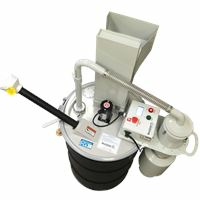 Bulk Pickups can be the most cost-effective overall recycling solution that Air Cycle offers. 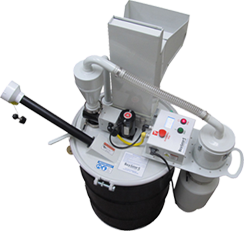 If you have large amounts of waste, then you will save significant time and money utilizing bulk pickups as opposed to other recycling measures. Bulk pickups can handle unlimited quantities of fluorescent lamps, ballasts, batteries, and electronic waste.